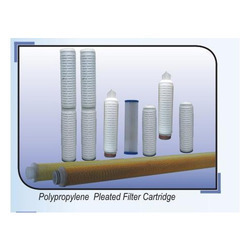 Pioneers in the industry, we offer activated carbon cartridges, ptfe pleated cartridge (vent filter), polypropylene housing, brine filtration cartridges, melt blown filter cartridge and string wound filter cartridge from India. 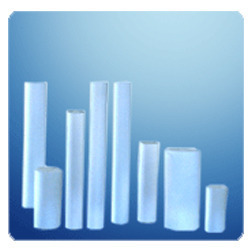 We offer complete range of GAC & Block type carbon cartridges for water and chemical filters. We have available in all size 2.5" Dia x 10", 20" in all microns ( 0.5 micron to 100 microns ) and Jambo Carbon cartridges in 4" Dia x 10" , 20". Other special requirement can be completed on request with quanity based order. We can supply special Type of Carbon cartridges with Threaded Ends also. Resin and surfactant-free; broad chemical compatibilities. Since the inception of our company, we are engaged in the providing best quality Polypropylene Housing. The offered product has its application in residential, commercial and industrial sectors. It is designed using high-quality polypropylene as a raw material and utilizing advanced technology under the strict vigilance of expert professionals. These are available in different sizes to meet the requirements of the clients. Moreover, our valued customers can avail this from us at an affordable price. 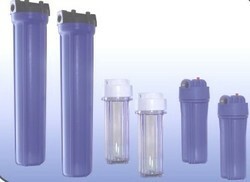 We offer Filter cartridges for Brine Filtration . It is used in Oil Industries , Chemical Industries. PP melt blown filter, Based on the manufacturing technology of multi-leveled comprehensive filter. The product is structured with different grade fibers, Inside thin and outside thick, Melt blown, Spun bonded filter cartridge are made of 100% polypropylene with application of binders & adhesives. 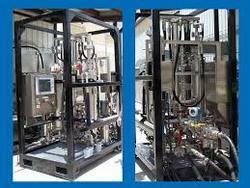 It is widely use in chemical, Pharmaceutical, Food & beveragies, Water treatment & electronics etc.. 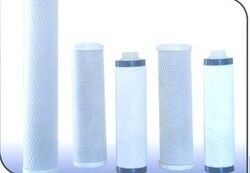 Size : 10", 20", 30" & 40"
String wound cartridge filter is a kind of depth filter, Which is made of the different types of textile yarns (Polypropylene, Glass fiber, and so on) the typical honeycomb structure of the filter body gives it a considerable capacity for accumulating impurities present in the fluid being filtered. It is made of Polypropylene with Polypropylene core, Glass fiber with S. S. core. It is widely use in Chemical, Pharmaceutical, Food & Beveragies, Water Treatment, Oil & Electronics etc. Size : 1 0", 20", 30" & 40"